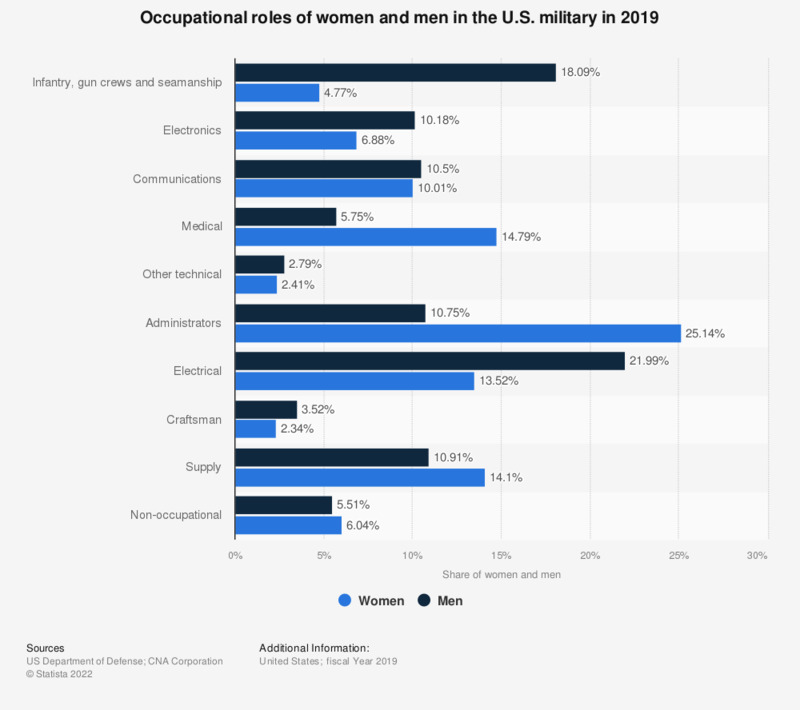 This statistic shows a distribution of occupational roles of women and men in the U.S. Military in 2017. In 2017, 29.66 percent of all active-duty enlisted women were employed as administrators. * May include students, patients, those with unassigned duties, and unknowns.